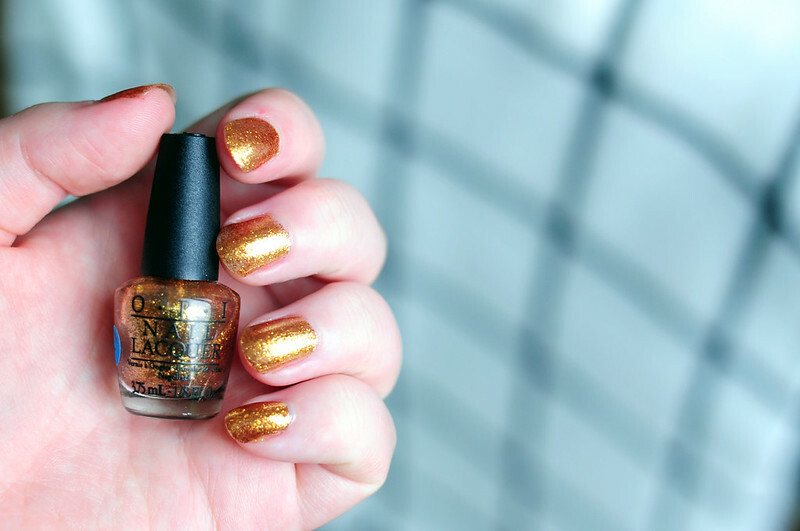 I've written about a great dupe for Golden Eye which was part of the Skyfall collection. Golden Eye is an incredibly bright gold and is completely different to other gold glitters I have in my collection. This is another nail polish that is extremely hard to photograph and to do it justice. It's one to try and see in person! This isn't like your standard gold glitter nail polish, it's more like a flakie. It dries flat and you don't have those annoying rough patches that seem to catch on anything and everything no matter how many top coats you apply.